Turf wars marks the beginning of a series of compelling ethnographies called New directions in ethnography, which is designed to present contemporary ethnographic research in a format that aims to please both specialists and “non-specialists” by rearranging its structure into neatly divided ethnographic narrative, theoretical framework and intellectual genealogy. The idea behind this special structure is to introduce readers to sophisticated scholarly work through first presenting fundamental anthropological concepts and approaches, and then gradually ascending to higher levels. In other words, the book aims to be a scholarly text, an educational tool and an engaging ethnography all in one – and that it certainly is. The prelude reads almost like a novel: it excites – it attracts. The book presents Modan’s ethno­graphic work in the ethnically diverse and increasingly gentrified neighborhood of Mt. Pleasant, Washington D.C., where she had been a resident for five years by the time she began her study of neighborhood discourses of identity. Through analyzing a variety of sources, including email messages, casual conversations, a grant proposal, a performance piece about the neighborhood and ethnographic interviews conducted with residents, her aim is to uncover what she refers to as the Mt. Pleasant politics of place: how community members of Mt. Pleasant relate to the neighborhood and to each other through discourses of identity that seek to define, negotiate and redefine the places where they live, and who does or does not count as an authentic Mt. Pleasant resident. Modan aims to show the importance of these discourses, which act as resources in struggling over spatial resources and negotiating conflicting visions of Mt. Pleasant; the way a community perceives the place they live in has implications for how that place can develop and change. In light of the innovative structural approach of New Directions, the book is divided into three parts. The first part is the actual ethnography, with an informative introductory chapter offering guidance through the reading process, and the remaining six chapters devoted to the geographical, social and linguistic landscape of Mt. Pleasant. This is followed by Modan’s theoretical framework where she presents the concepts and approaches she applies in her work with references to classic scholarly works that developed them, carefully guiding the reader step by step through a wide-branching conceptual grid. The book ends with an addendum where Modan explains how she has come to choose and define the key terms she uses, in careful consideration of how these terms have been used by others in earlier scholarship, and the implications of applying certain terms in favor of others in a body of anthropological research. Following the introductory chapter, which provides a rough outline of the ethnography as well as orientation to the reader, are six chapters dedicated to the geographical, social and linguistic landscape of Mt. Pleasant. Chapter 2 provides an overview of the sociopolitical history of Mt. Pleasant as an ever-evolving multiethnic neighborhood in disenfranchised DC: from political decisions promoting segregation to baby-boomer activism, we are shown how a Washington D.C. suburb has gone through demographic shifts and conflicts to become a desegregated, gentrified and much contested neighborhood where diverse ethnic and religious groups, core residents and newcomers struggle for space and self-definition. Chapter 3 then discusses a number of issues cutting across discourses of the neighborhood, using Jane Hill’s concept of moral geography. As members of the community negotiate conflicting views of the landscape, they also align themselves to a moral “grid” (p. 90) a value and belief system mapped onto the physical landscape into which residents either do or do not fit. 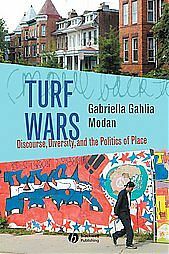 Modan identifies members’ discourses of “city vs. suburb” as the locus of tensions between conflicting visions of Mt. Pleasant as heterogeneous and homogeneous, dangerous and safe, public and private, masculine and feminine, and shows the implications of positioning the neighborhood in either way, both for the neighborhood and the community. 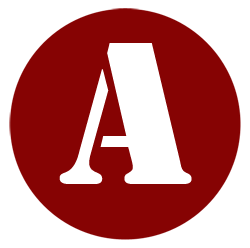 Chapters 4 and 5, which examine a grant proposal for public toilets and a performance play, respectively, are centered on issues of ethnicity and marginalization. Through analyzing e-mail messages on the local listserv regarding the grant, and the performance play by a Latino artist living in Mt. Pleasant, Modan illustrates how two different discourses can drawn on the same themes of filth, ethnicity and behavior to marginalize and vilify Latino culture (by associating it with urination in the street and criminal tendencies) or applaud it and marginalize others (by positioning aspects of Latino culture as inherent to the neighborhood’s moral geography). These clashing perspectives are then contrasted to discourses that are used to form bonds between people of different ethnic backgrounds in Chapter 6, where Modan recounts the stories of multi-ethnic residents forming a co-op to regain the apartment building that they formerly owned. Through discourses of fearlessness, here associated not with the masculine cityscapes of Chapter 3 but with feminine roles of being a mother and caretaker, and countering violence and crime in the neighborhood by forming family and kinship ties, residents can transcend the boundaries so frequently drawn on to pit members of ethnic groups against one another. Last, Chapter 7 recounts the various changes that occurred within the neighborhood due to increasing gentrification and rising real estate prices in 2004 and 2005, and presents the stories of several residents (with Modan’s emphasis in bold) to show how members of the community conceived and dealt with these changes. Beyond the vividly painted ethnography lies Modan’s theoretical framework, organized into two chapters: discourse and community, and geography and social location, respectively, and written in the same engaging style. Not only does Modan explain where concepts such as discourse, performativity, speech community and positioning have originated from by drawing on the works of James Gee, Judith Butler and John Gumperz (to name but a few), and illustrating how these concepts are useful tools for analysis; she also traces her own roots as a researcher, providing a background that explains how her work was influenced by the likes of Penelope Eckert and Sally McConnell-Ginet, Teun van Dijk and Ruth Wodak, and how she has come to use these concepts in her own work. As a finishing touch, the addendum expands on key terms such as community of practice, ethnicity and public discourse, explaining how Modan defines and uses them in her ethnography, and why she has opted for one term over another, such as her illustration of the difference between place and space as concepts denoting territory in different ways. Modan’s professed aim was to show “how discourses of the mid- to late 1990s have played a role in the development of the neighborhood… and what contributions discourse analytic work can make to urban planning and policy issues” (p. 31). While the implications of her work for Mt. Pleasant’s development remain to be seen, the testimonies she presents are proof of how strongly discourses of place effect Mt. Pleasant as a place and as a community. Modan’s ethnography is a stellar piece of contemporary anthropological research within a community, for a community, and a promising beginning for New directions in ethnography.